Purple Plum Fairy: Catch the McDonald's Soccermania at SM Malls! Kyle happily holding the soccer ball. 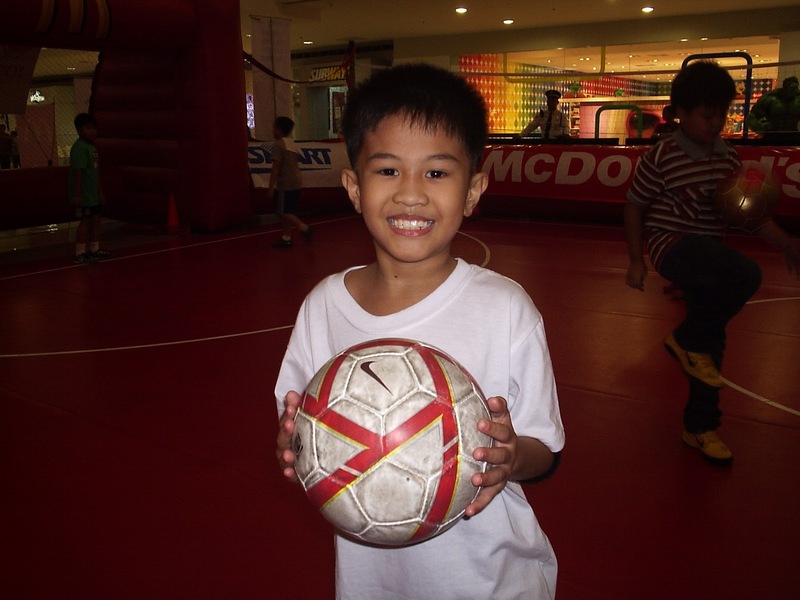 Catch the McDonald's Soccermania at selected SM Malls. The Futkaleros will conduct free soccer clinics open to kids ages 6 to 12 years old. Girls and boys are welcome to join the fun and games. 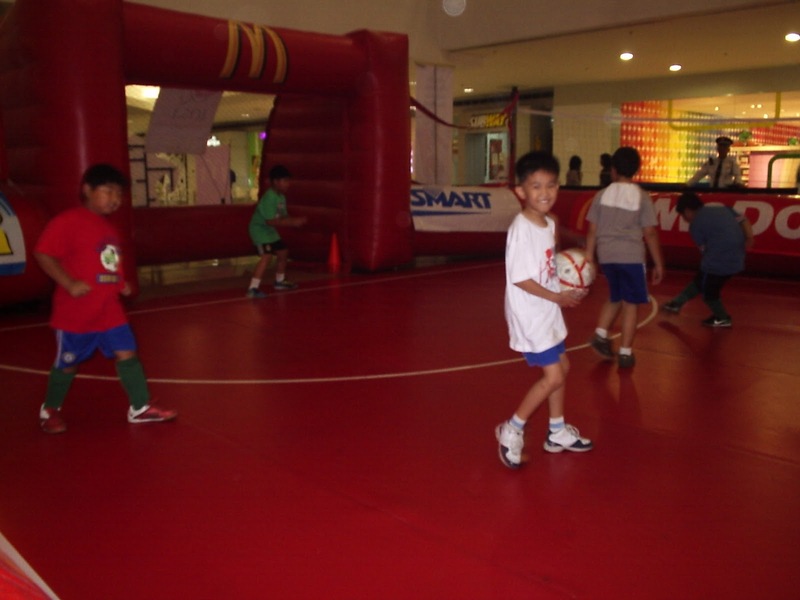 There will also be lots of freebies including a free photo opportunity and winning Disney's Supastrikas items. 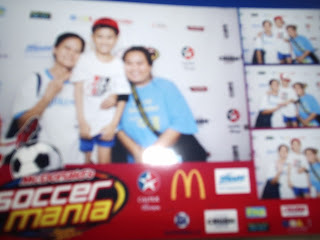 We went to the Sm Megamall leg last weekend that despite Kyle having gone from an injury, he insisted that we bring him to the Soccermania because he's a great fan of the Azkals' goalkeeper Neil Etheridge. He says he wants to know how street soccer is played. Ready to strike a kick! Have your kids experience the fun of playing football and gain friends as well. 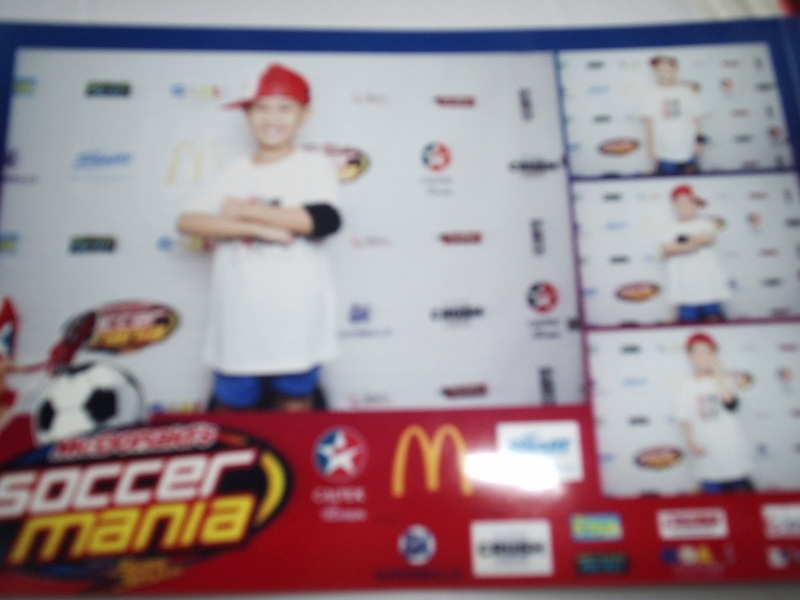 McDonald's Soccermania is scheduled to be held at SM Manila on April 15, 16, 17 from 10 AM to 7PM. For more info, visit the Facebook fan page of McDonald's Soccermania. 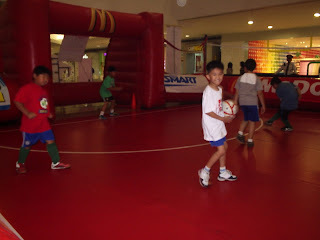 Let your kids enjoy the sport and feel the rush of Soccer!